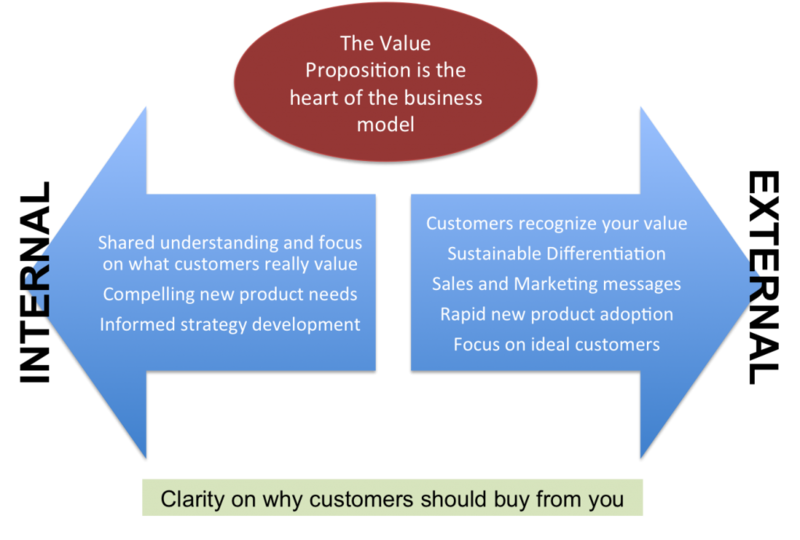 The best question my boss ever asked me – What’s the value proposition? I’ve learnt some great things from my bosses over the years, but by far the best is to clearly define the value proposition for your product or service before you develop it. At the time I knew it was important but I didn’t recognize just how crucial it is. Your value proposition explains why your customers should choose to do business with you, get it right and you create huge competitive advantage. It also forms the basis for your whole business model, in Alex Osterwalder’s Business Model Generation it is the centre of the canvas because everything is based on this. But it turns out that developing a strong value proposition is hard, that’s why it’s the best question my boss ever asked me. Time with customers – understand their strategy, their problems and what they want to achieve. Talk to customers who buy a lot from you and those that buy a lot from your competition. Approach customers with a view to developing a trusting relationship, you are not always selling. Gathering this information is a continual process and should be part of everyone’s role, not just sales and marketing. Identify all the customer touch points within your business and make sure everyone understands their role in developing a deeper understanding of your customer. To structure value proposition development I use a team approach with a canvas as part of a 7 step process, this gets everything on the wall and allows you to create a picture of your customers’ needs. This takes time, but once you have this it becomes a whole lot easier to define how your product or service both satisfies your customers’ needs and delights them. This is just the start of building your compelling value proposition, but if you are obsessed with understanding your customers’ needs and how you can fulfill them, you have the basis for a very strong business model.